Could Your Relationship Use a Tune Up? - Justine Arian. Could Your Relationship Use a Tune Up? 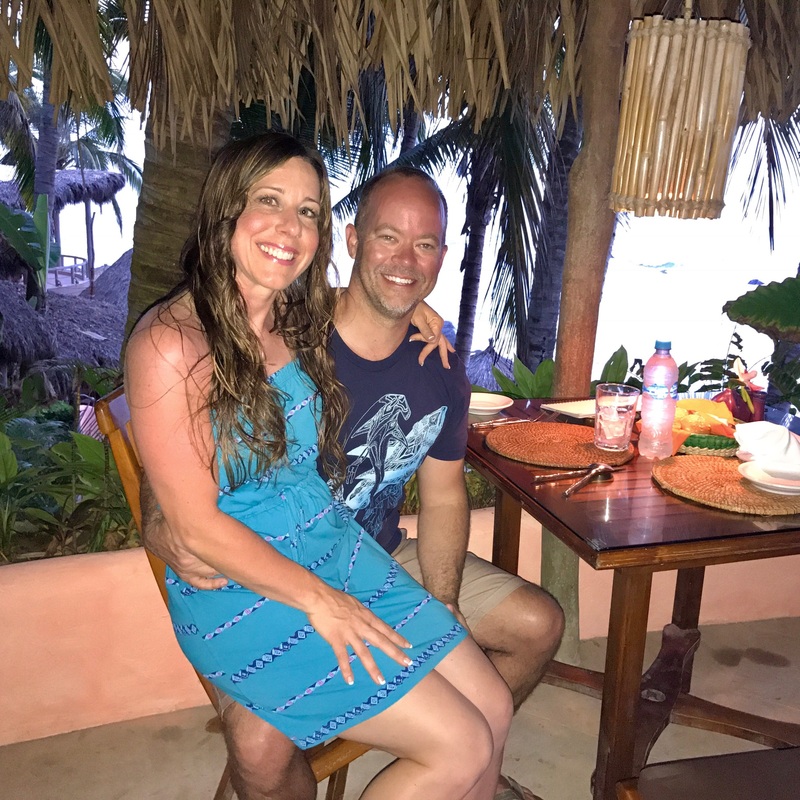 Last weekend, my sweetheart and I took a 4-night getaway to Mexico. When we first started dating over 4 years ago, we set an intention to do monthly getaways, even if only for a night. We realized the importance of having our alone time to connect, in light of the fact that we have a combined number of 4 children. At first, we were great about staying true to our intention. We loved our getaways and felt they kept our relationship light and fun. Then life got real. We moved in together, took on more responsibilities with work and home, and generally got busier. We began to see ourselves getting caught in the daily rut of life. We felt more disconnected from each other and we felt more run down. We knew that we needed to re-prioritize our away time together. It was the solution to our burn out and road to break down. What I love about Ethan is that he’s a man of action. Once we decide something, he makes it happen. I am such a thinker, dreamer and analyzer. Truth be told, probably half of our getaways wouldn’t happen if it weren’t for him taking charge. I am fortunate to have found someone like Ethan. It truly helps to have that kind of partnership, where each person plays a vital role in allowing the vision to occur. So, back to Mexico. 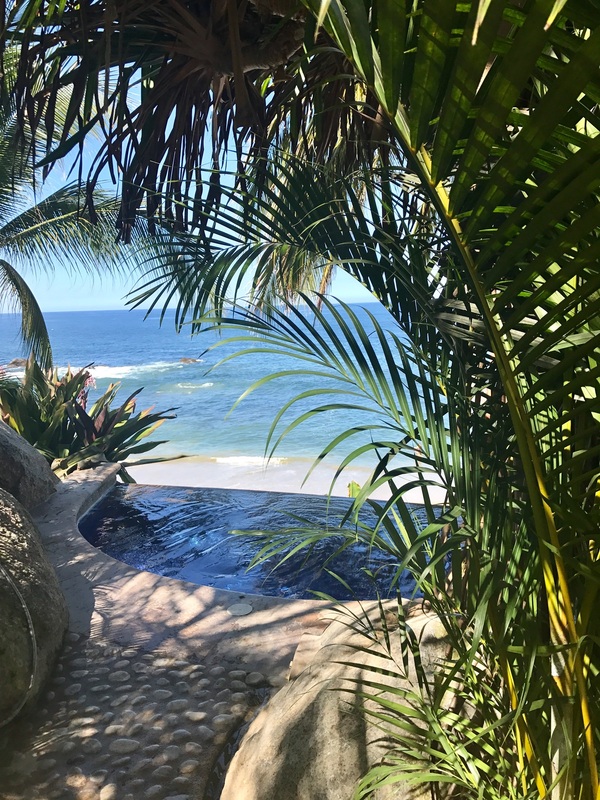 We stayed at the most gorgeous resort on a private beach about an hour outside of Puerto Vallarta. Everything was perfect. The food was amazing, drinks were to die for, the lush jungle, garden feel to the resort and the amazing panoramic oceanfront views were over the top perfect. Time stood still for 4 days. We relaxed completely, had zero agenda and just really connected and played for 4 days. It was exactly what we needed to come back to the realities of life and face everything with optimism and vitality. I made a short video (6 mins) from the balcony of our room in Mexico, talking about this very topic. Check it out below. I say all this to you because I believe our relationships are our most meaningful assets. When we prioritize and nurture them, they thrive. When we don’t, well… you know what happens. I am fortunate to have found my perfect match in a partner and I don’t take it for granted. Everyday I show gratitude for this man, even if it’s just in my mind. I focus on the gifts of our relationship and I try and give as much as I feel I am given. Although that is a tough one. The point is… it takes effort, focus and desire to grow deeply connected and loving relationships. Whether you are currently in a love relationship or not, the reality is… you are always in a relationship. Your most important relationship is being with yourself. You are in a relationship with your children, your family, friends, clients, co-workers, etc. Each of these relationships, can become stronger and more connected, when you choose to put focus on them and energy toward them. If you were to choose one relationship you’d like to focus on deepening, which one would it be? What would a truly beautiful and deeply connected relationship (with… Z) look like? How do I want to feel in my relationship(s)? How do I want others to feel who are in relationship with me? Who can I turn to for support with improving my relationship(s)? Who do I need to be more of to have the kind of relationship(s) I desire? What step can I take today to start creating the relationship(s) I desire? How will my life be different as a result of my improved relationship(s)? Answer as many or as few of these questions as you’d like. You might think of some of your own as well. I’d love to hear which relationship you are choosing to prioritize right now and what questions you are asking yourself about moving toward your vision of what’s possible. What I know is we each have the ability to create amazing relationships and lives based on the thoughts we have and the actions we take. I know this, because I have created what I consider to be my dream life, with a partner that is truly a partner in every sense of the word. I know I manifested this life through what I have focused on and put energy toward. I know you can do it for yourself too. And there’s no doubt that you deserve it and is what I truly desire for you. Please share with me what this topic brought up for you. You can always reach me via email at justine@JustineArian.com or share a comment below on my blog and help others see they are not alone in this sometimes challenging thing called life. You matter to me and I believe in you. Stay Empowered & Get Free Email Updates! Sign up now and receive powerful tools, resources and articles in your inbox!